Wexford hurling manager Davy Fitzgerald spoke to Liam Spratt of South East Radio on Friday, which was aired on Saturday evening’s Sports Hour. “It’s very important to have the public behind us. Whether if it’s from you [media], or from someone in the stands. We don’t need negativity. If we have that, we have no hope. That only kills you. That will pull you down, we don’t need that. “Trust me, I wouldn’t care what system we played. Albeit, Fitzgerald’s tactics came under scrutiny following Wexford’s loss to Galway in the Walsh Cup final, but his faith in the current system and the players remain. The Clare native used the example of the Kilkenny game in Nowlan Park last year, where Wexford dominated the Cats with a pulsating first-half display. “For example, the first half of the Kilkenny game last year in the Championship. I thought that was incredible. If we can produce things like that, we’re bringing hurling to a completely new level again,” Fitzgerald said. “Just stay with us,” he urged. Limerick will travel to Wexford Park for the League opener this Sunday, and the All-Ireland champions have named a very strong side for the opening tie of the campaign. 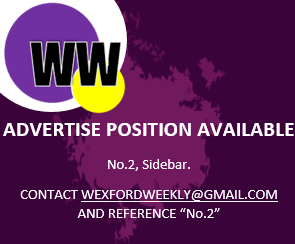 Unfortunately, Wexford will be without Lee Chin, Damien Reck, James Breen, and Rory O’Connor, to name just a few. Heading into the game, Fitzgerald is under no illusions in relation to Limerick’s strength. He knows the Treaty County will be doing everything to win, to prove the worthiness of their status as All-Ireland champions. There’s no relegation for this years’ League campaign, something that Fitzgerald is grateful for. It’s pressure off the shoulders, but it also provides an opportunity to try new things. Lastly, Fitzgerald urged the Wexford fans to give Limerick a “Wexford welcome” on Sunday. The two sides will face each other at 2pm in Innovate Wexford Park, and it’s sure to be an exciting encounter.